Our History | Inabnitt Agency, Inc. The Inabnitt’s started in the insurance industry in 1962, when Carlis “Toddy” Inabnitt went to work for Farm Bureau. His territory was northern Johnson County. In 1965, he joined Glen Newkirk to form Newkirk-Inabnitt Agency. Their office was in Bargersville. At that time they signed on with Motorists Mutual Ins. Co. which is still one of the main companies in the office. They added Real Estate to the business as well in 1967. This continued until 1970 when the two agencies where split with Inabnitt Agency moving to Greenwood. 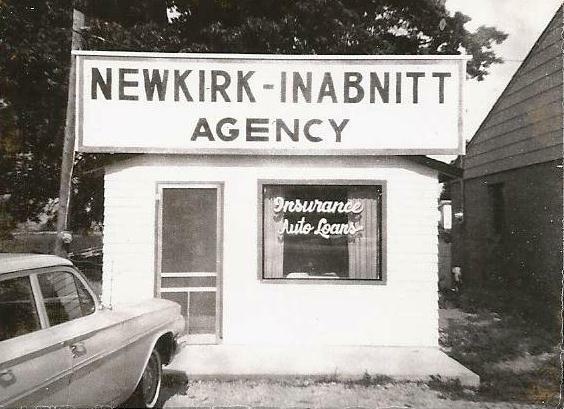 Newkirk Agency eventually moved to Franklin. The agency moved to 74 Main St., Bargersville in 1978. Then to our current location at 68 Main St., Bargersville in 2005. After being with the company for 31 years Toddy retired in 1995 to enjoy golfing, part-time in Indiana and Florida. Marvin “Pookie” Inabnitt joined the agency in 1982 after three years with AllState. Pookie received his Real Estate license in 1985. Bill Inabnitt started in 1984 as the office manager. During the next year Bill received both his Insurance & Real Estate licenses in 1985 and continued his schooling. Pat Rather joined the agency in June 2015 as the Office Manager.